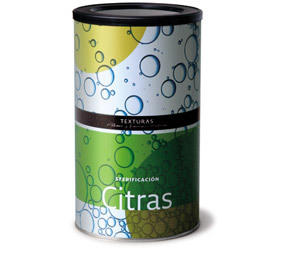 A product made from sodium citrate, obtained mainly from citrus; it is usually used in the food industry to prevent darkening of cut fruits and vegetables. It has the property of reducing the acidity of foods, and using it makes it possible to achieve spherical preparations with strongly acidic ingredients. Dissolves easily and acts instantaneously.